Hand-scraped or Machine-made: What's the Difference? While a young oboist's primary concern is always, "Where can I find a great reed? ", it is equally important that they understand a bit about the construction of the reed, why it works the way it does, and the different things that can influence how a reed plays. In general, hand-scraped oboe reeds are preferred to machine-made oboe reeds. A hand-scraped, American style oboe reed has been carefully made by an oboist to be responsive, play in tune, and have a beautiful sound when played. It will usually have three distinct areas (tip, heart, and back) that have been carefully balanced for optimum vibration and intonation. The reed has been tested and continuously adjusted by hand throughout the construction process. When looking at any reed, it is a good idea to backlight it so that you can see the construction of the reed. Hand-scraped, American style oboe reeds will generally have a clearly defined tip, heart, back and spine. Backlighting will also reveal a bit about the evenness of the scrape. The various areas of the reed should look fairly consistent in color and proportion from blade to blade. The more even and symmetrical the construction of the reed, the better it will vibrate and sound when played. Machine-made oboe reeds are made entirely on a profiling machine. They are usually not tested for response, intonation, or tone quality before they are packaged and sold. In most cases, when looking at a machine-made reed, you will only see a tip and a long scrape into the back. Backlighting these reeds will frequently reveal a good deal of unevenness in the scrape, which greatly influences the reed's response, intonation, and sound when played. Many commercial profiling machines are based upon a European style reed, which tends to lend itself to a more vibrant sound. This reed style also encourages the use of more embouchure pressure on the reed. If you are a new oboist, or the parent of one, a helpful introductory article about oboe reeds is written by Allison Baker, "The Selection and Care of Oboe Reeds," available on Banddirector.com. 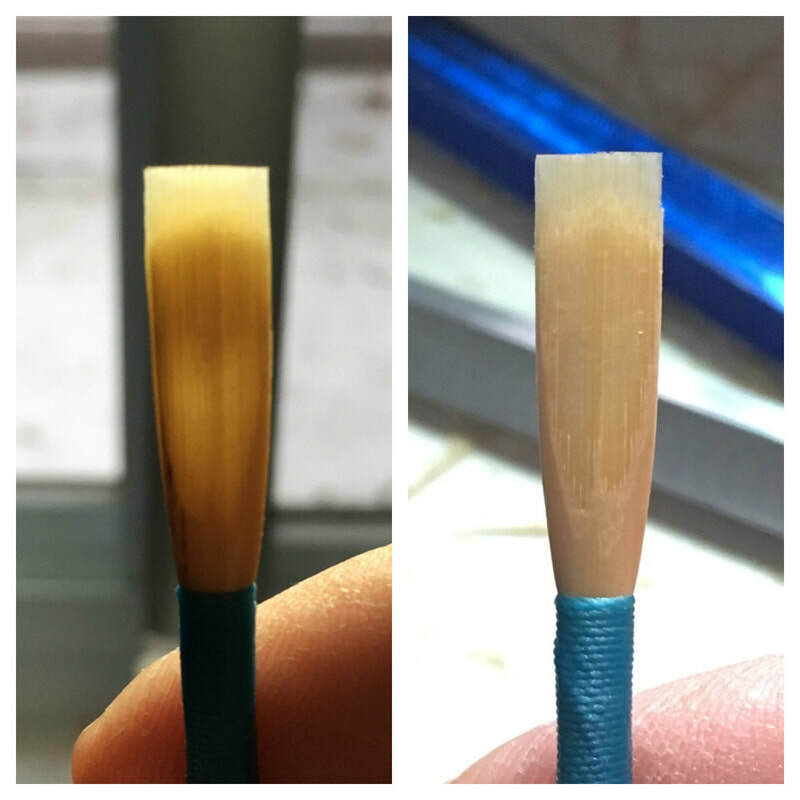 It does a great job of explaining the difference between machine-made and hand-scraped oboe reeds, how to store them, and how to take care of them. 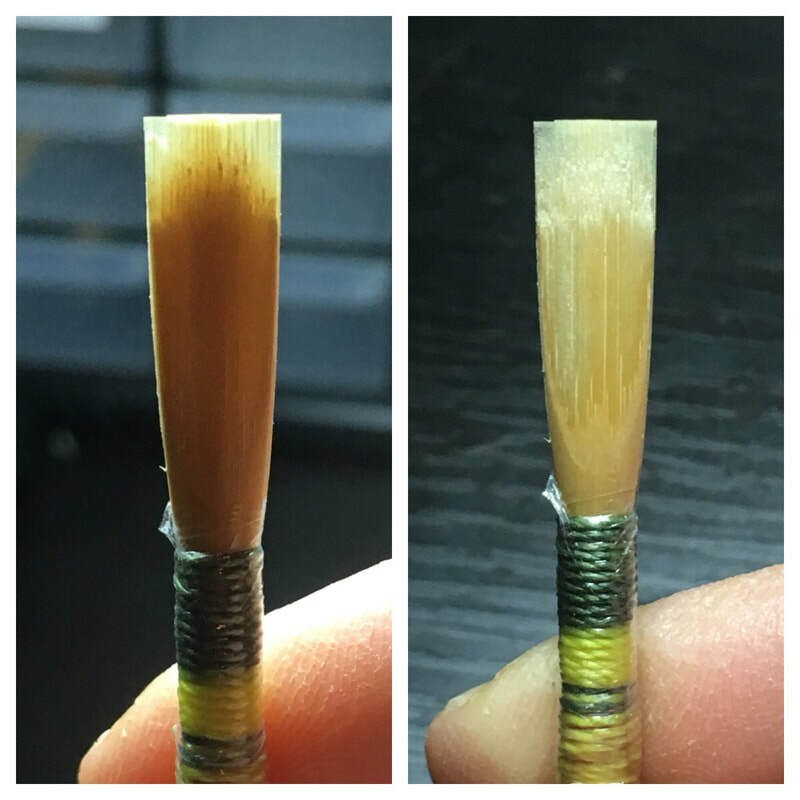 Dr. Sarah Hamilton, Oboe Professor at SUNY Fredonia School of Music, has written an excellent article, "Reed Help for Beginners," that details specific information designed to assist in the selection of an oboe reed. 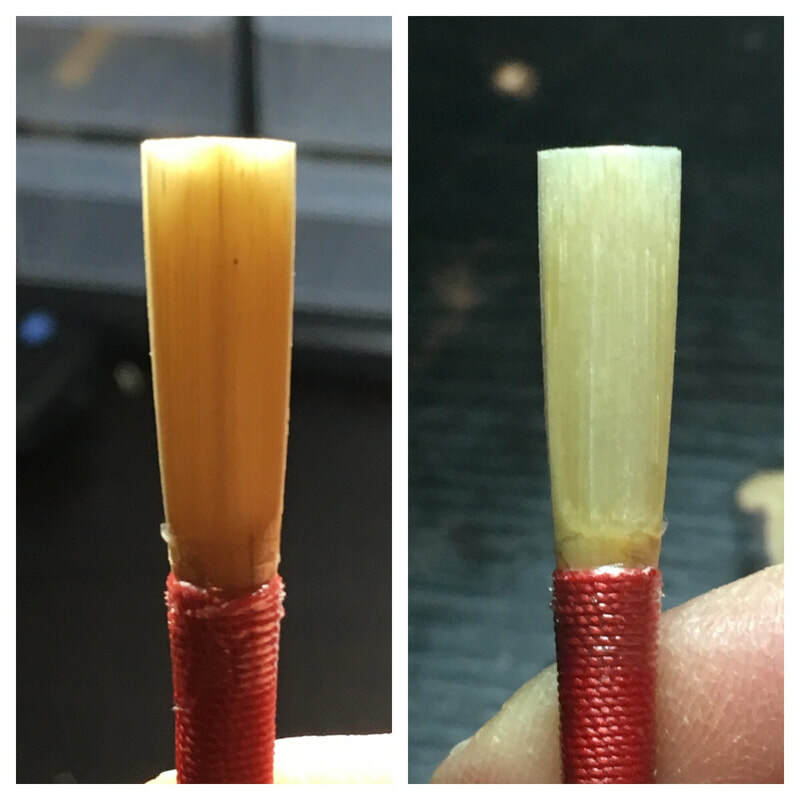 This includes what to look for in a reed without playing it, a method for testing reeds, and simple suggestions for fixing reeds. Dr. Hamilton also concisely explains the general problems with machine-made reeds. 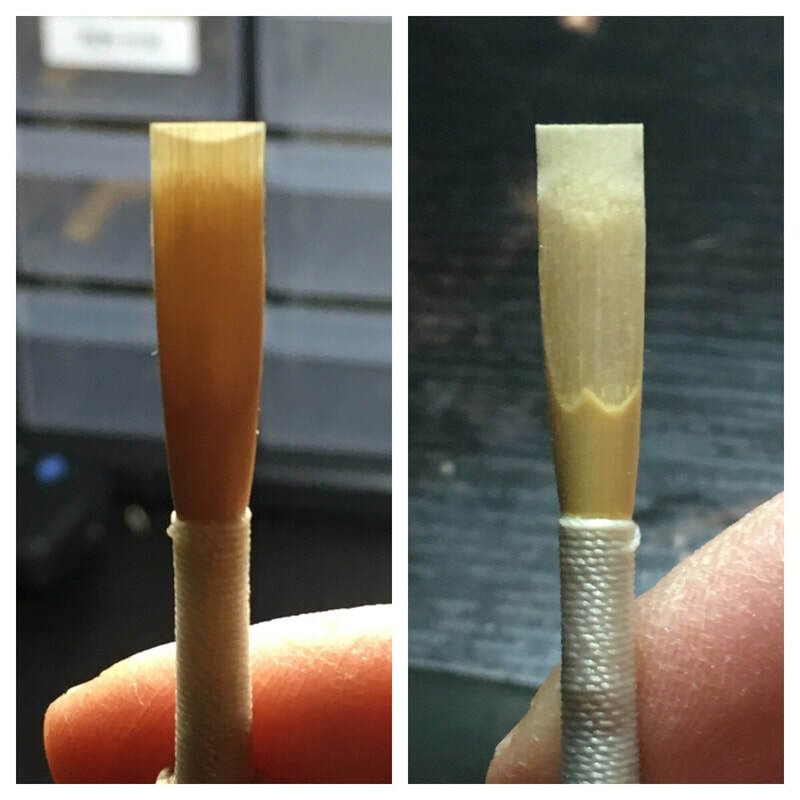 This article makes it clear why hand-scraped reeds are preferred to machine-made reeds. 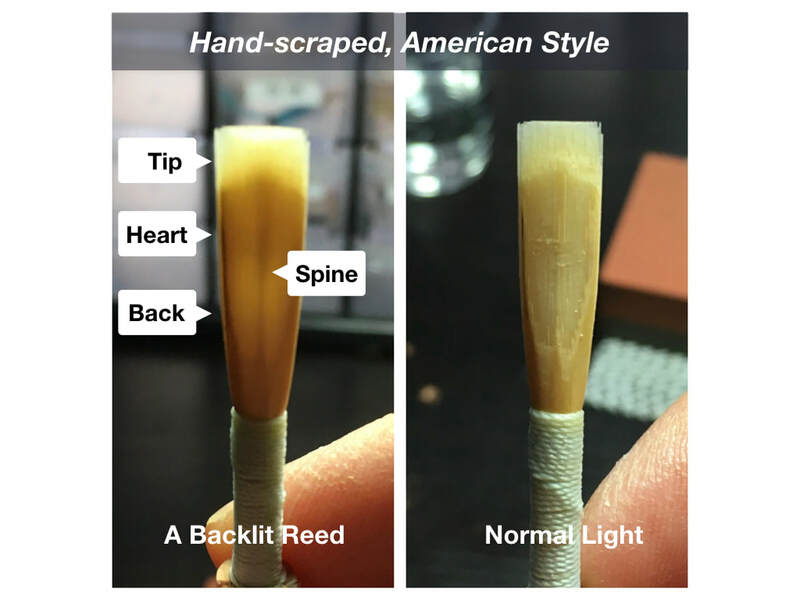 To give you the sense of how hand-scraped reeds can have different characteristics, read the blog post, "Oboe Reeds: Selecting the Best Reed For You," from Midwest Musical Imports. 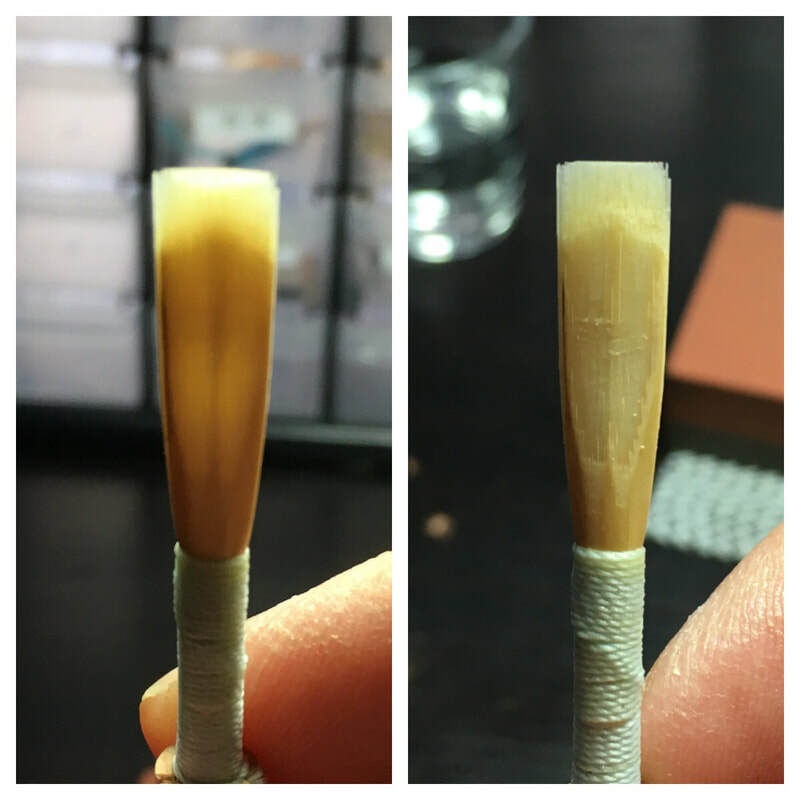 This post describes each of the hand-scraped reeds they have available for purchase as well as general information to help in the selection of an oboe reed. Hodge Products recently published this helpful blog post, "Oboe Reeds: Which Oboe Reed Should I Buy?." While it also pertains specifically to the reeds they sell, I greatly appreciate the list of Reed Characteristics, Tone Color terms, and chart of "Desirable" and "Undesirable" traits. I always prefer hand-scraped reeds over machine-made reeds, but it often takes a great deal of trial and error before you find a good fit. Frankly, it is the reason why oboists learn how to make their own reeds. When you make your own reed, you can control every aspect of your sound and how the reed feels when playing it.